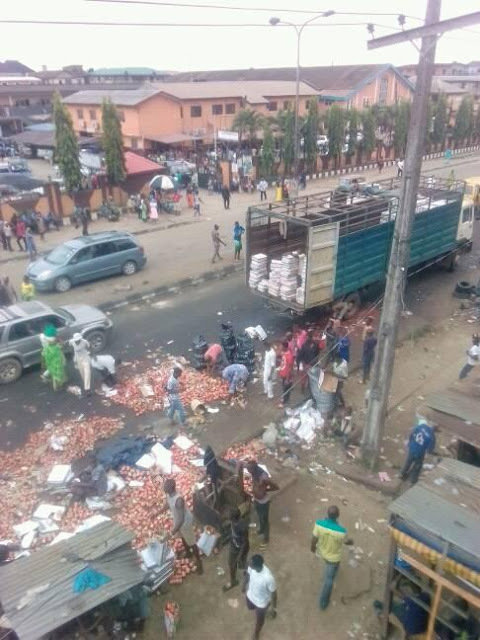 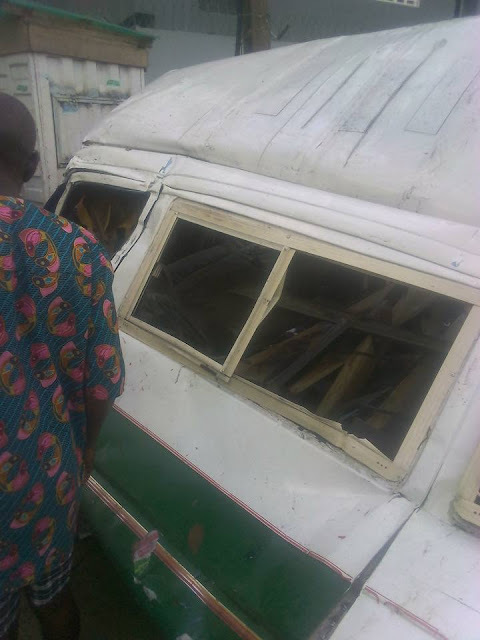 A truck transporting large quantities of tinned tomatoes has fallen in a Lagos community, crushing a bus driver to death. 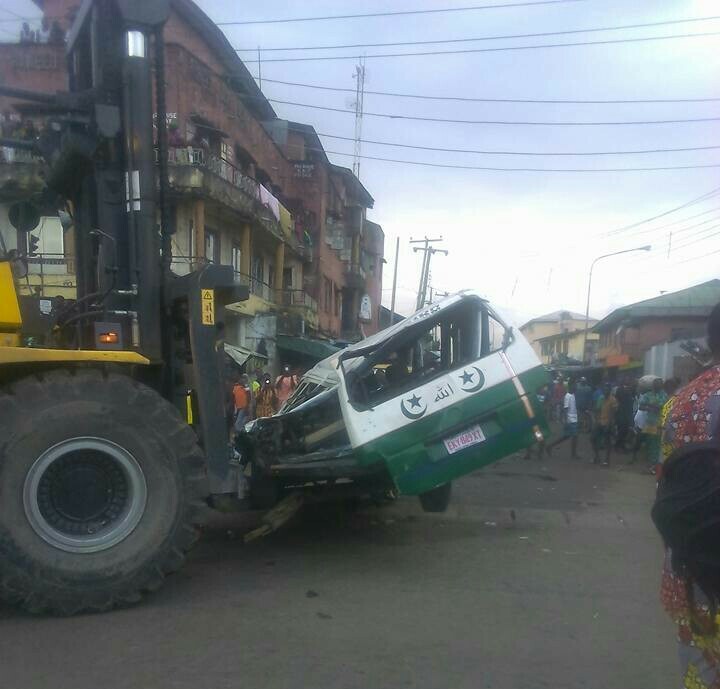 The accident happened in the early hours of Sunday. The truck driver, fearing mob action, fled following the incident.